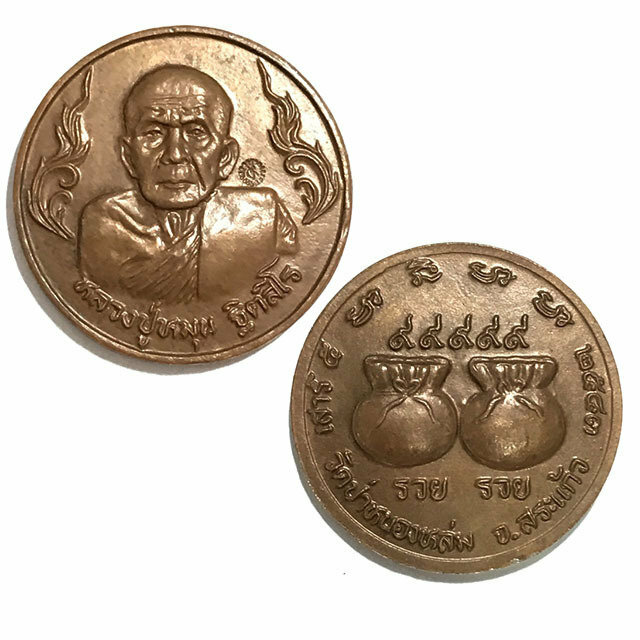 The Rian Khwan Tung Ruay Ruay 99999 Nuea Tong Daeng Dtok Code Ma - Sao Ha 2543 106th Anniversary Edition amulet of Luang Phu Hmun Tidtasilo, of Wat Ban Jan. 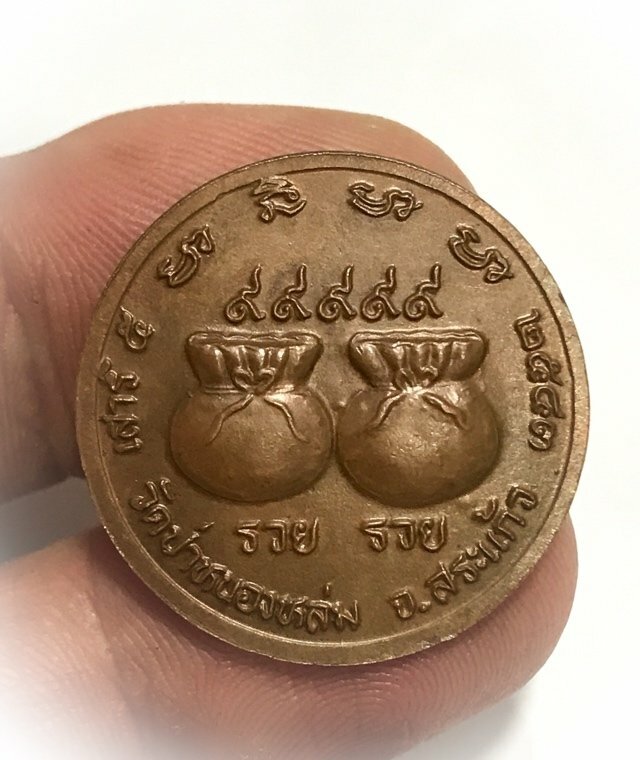 Released along with the Rian Nang Kwak and other amulets at Wat Pha Nong Lom, after being empowered by Luang Phu Hmun over a three month 'Traimas' rainy season, and having been passed through a total of 5 different blessing ceremonies before release.Only 1,999 Made. 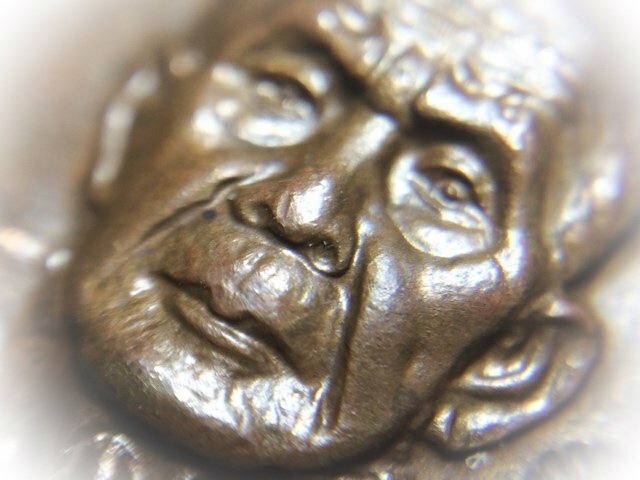 The front face of the amulet features the image of Luang Phu Hmun with his name 'Luang Phu Hmun Tidtasilo' embossed below his semi-torso cameo image. 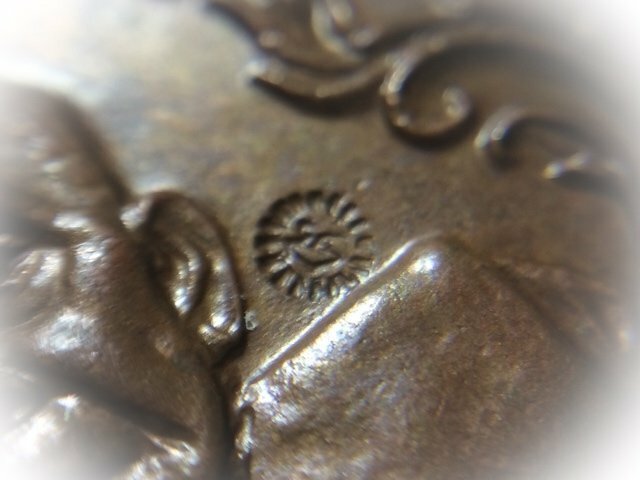 Either side are granok Flame decorative embellishments.To the side of Luang Phu's left shoulder (our right), there is the code Ma Khom Agkhara stamp embossed on the surface. 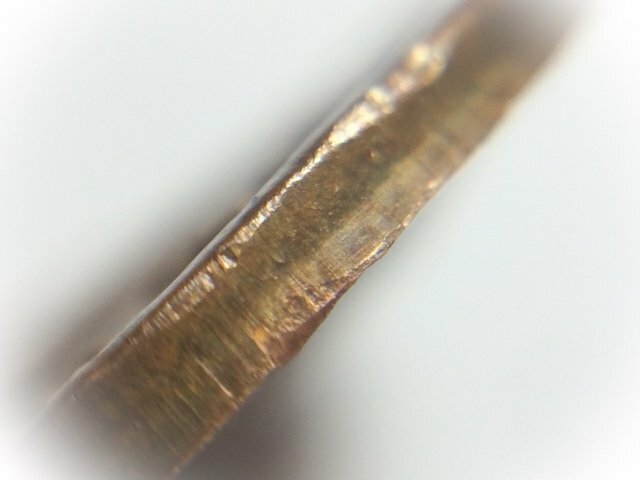 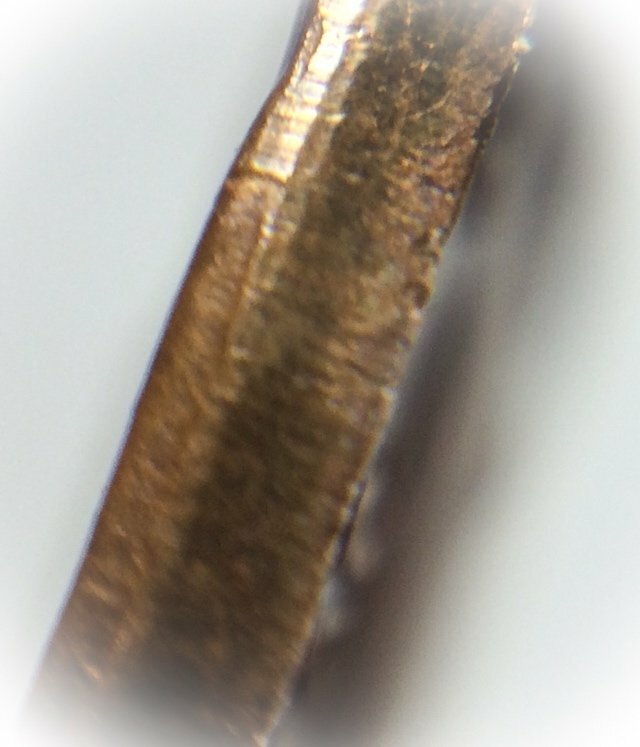 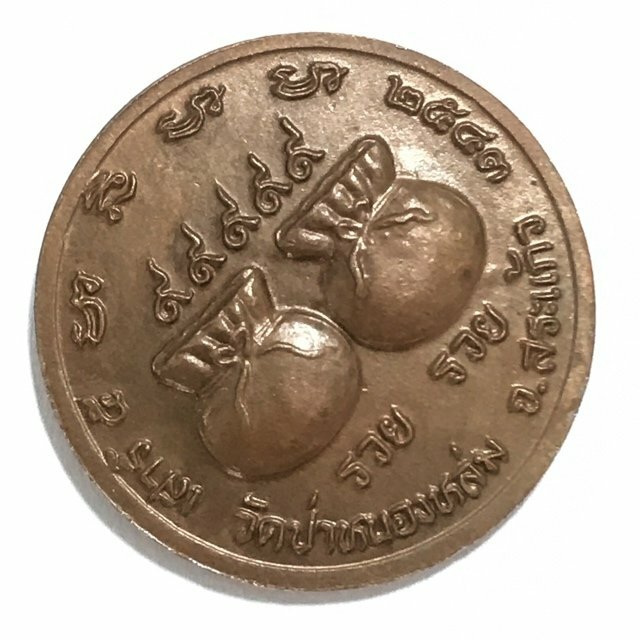 The coin is a 'Khwan Thung' (purse amulet), and has no 'hoo' pendant hoop or hole, and is intended for keeping in your purse, cashtill, or for encasement, or, with active occultists, has also been used for immersion in holy water to perform incantations and use water spraying in the place of business, to attract customers and wealth. 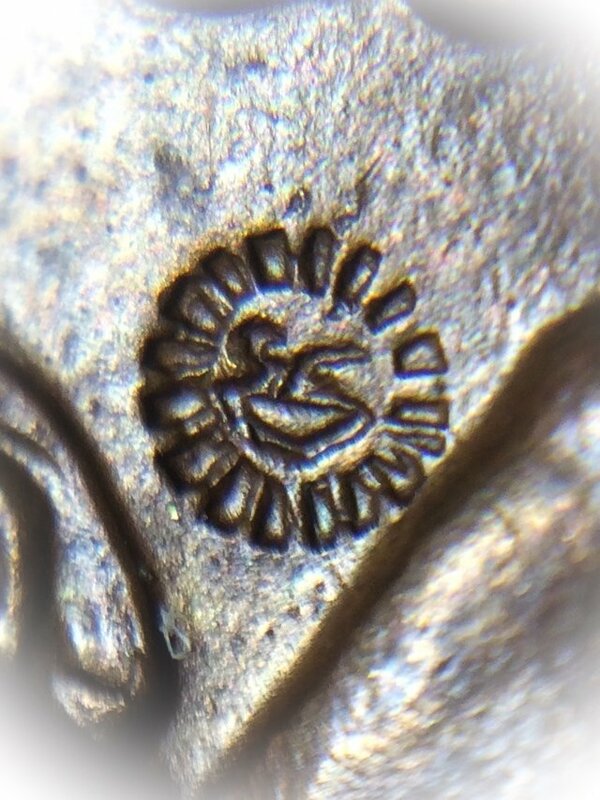 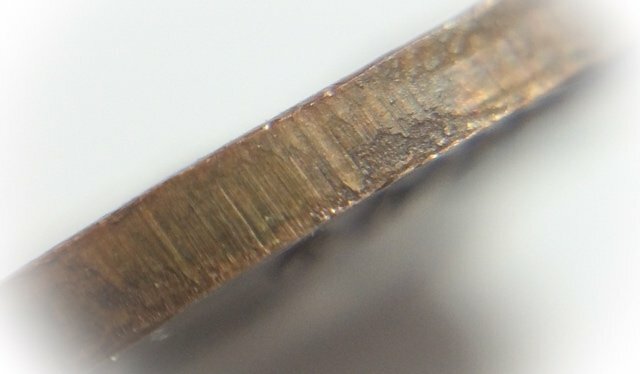 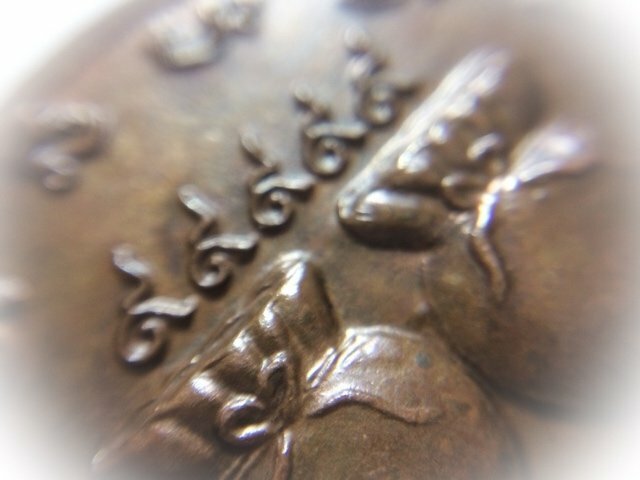 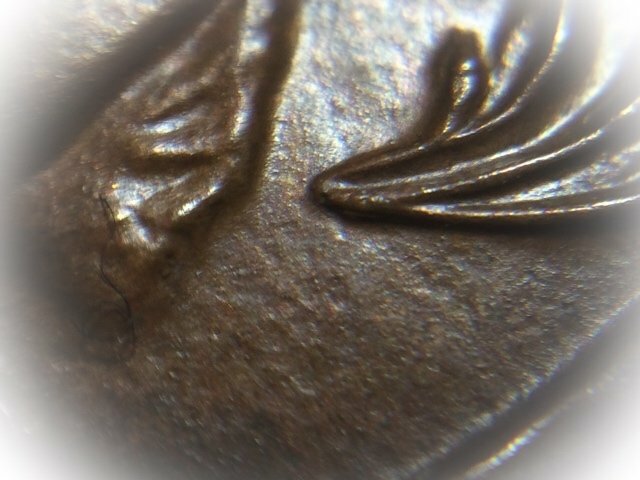 The rear face of the coin has two 'Thung Sap' Treasure Sacks, with 5 x the Thai Numeral 9 (๙๙๙๙๙) above them, and the words 'Ruay Ruay. 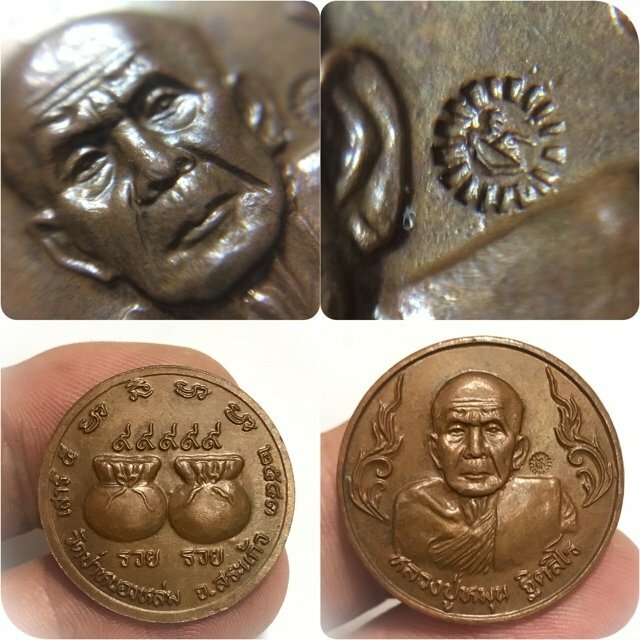 This series of amulets were made in 2542 BE and placed for blessing in the same Buddha Abhiseka Ceremony held for the 'Jaroen Lap' edition (105th Birthday Edition), with not only Luang Phu Hmun present to perform empowerment and blessings, but also a number of other Great Master Monks. 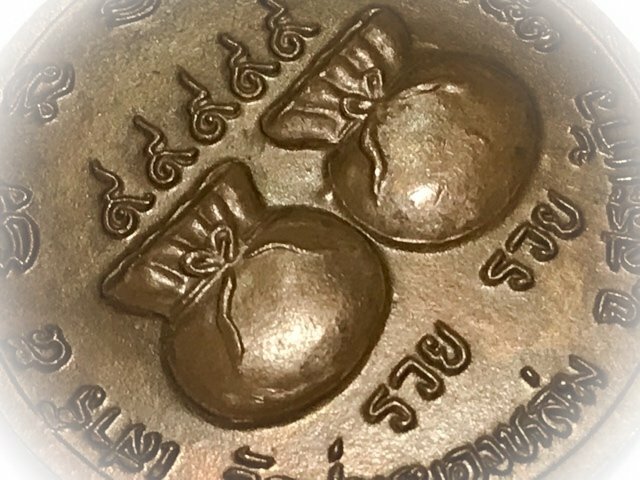 The coins were placed in the first blessing ceremony on 27th February 2543 BE at Wat Pha Nong Lom, which was held during the Piti Te Tong Roop Lor Pra Roop Muean casting ritual held for the forging of the LP Hmun Bucha altar statues and Loi Ongk statuettes, which were released in 9 and 5 inches wide base versions, and in portable 'Roop Lor Kreung Seek', which are also seen attached to the Khan Nam Mont holy water bowl of Luang Phu Hmun. 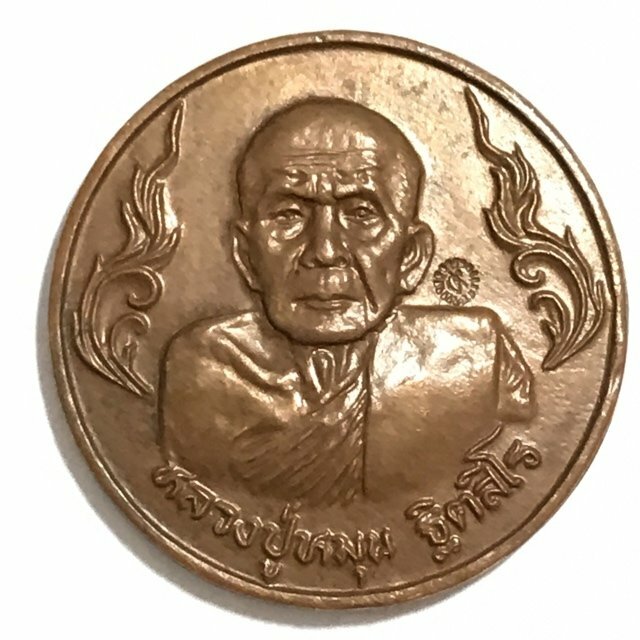 This ceremony also blessed the famous Pra Pid Ta Yant Yung amulets, and the whole series was empowered by Luang Phu Hmun presidinig over the other Monks who came to chant. 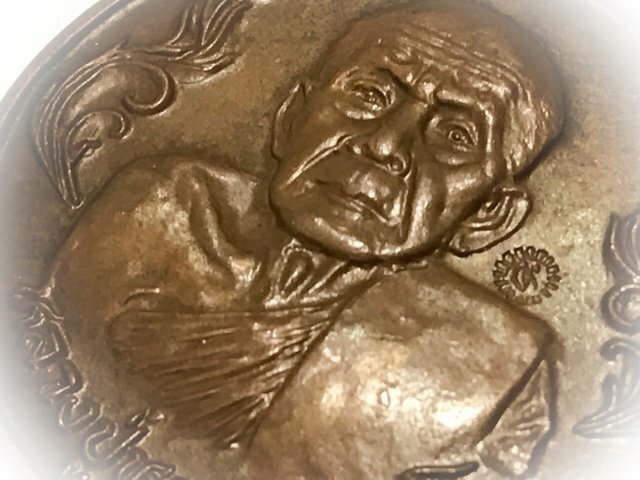 The second empowerment and blessing was held inside the Uposatha Shrineroom at Wat Sutat, on the 16th March of 2543 BE, with Luang Phu Samai, 101 year old Master Monk and Abbot of Wat Po Yen in Petchaboon, Luang Por Pian, of Wat grern Gathin in Lopburi, Luang Phu Lui, of Wat Rachyota, Luang Por Phon, of Wat None Tong in Lopburi, Luang Phu Jan of Wat Nang Noo, Luang Por Sinchai of Wat Po Yen, and Luang Por Thanom of the Kana 2 Sangha Branch of Wat Sutat. 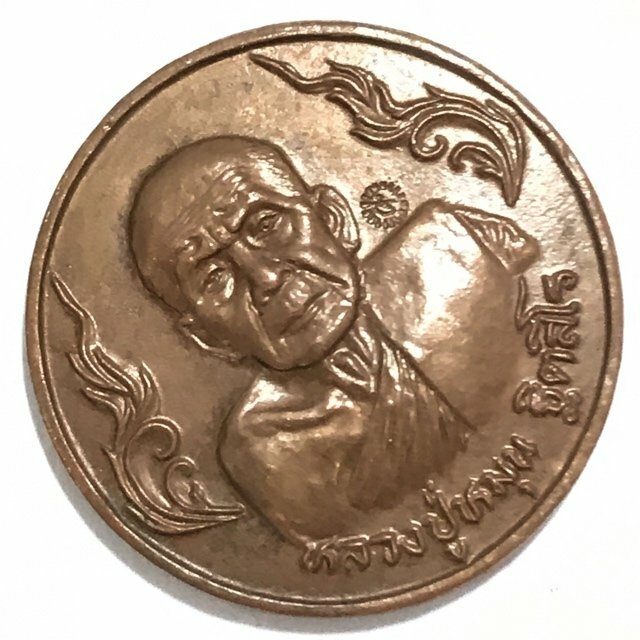 The third blessing ceremony was held during the Sao Ha 5th Lunar Saturday Edition Buddha Abhiseka at Wat Pha Nong Lom on 8th April 2543 BE, with LP Hmun presiding over the ceremony, and accompanied by Luang Phu Thong 102 year old Monk and abbot of Wat Sra Mondon in Ayuttaya, Luang Por Samai of Wat Po Yen, Luang Por In of Wat Ban Dan (first apprentice to Luang Por Ia), and the Great Legendary Luang Phu Suang, who performed powerful Kasin Fai fire Kasina empowerment. 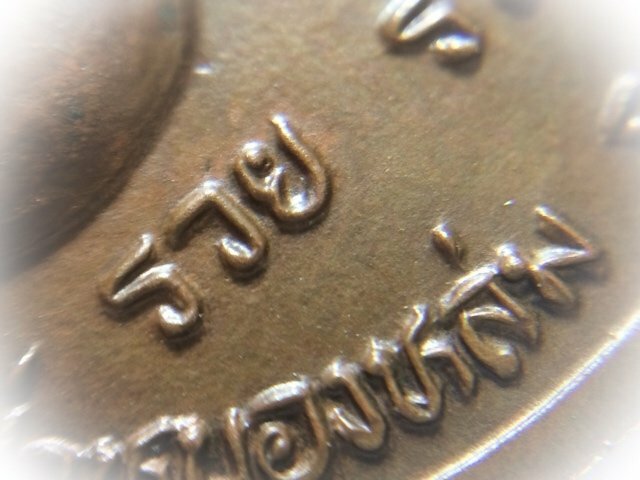 The 4th Blessing was performed at Wat Sap Lam Yai on 9th April 2543 BE with full Buddha Abhiseka ceremony, and then Luang Phu Hmun performed the magical rituals of Sek Dtang Taat, Hnun Taat, and Chak Yant, with full vocation and ceremonial accuracy. 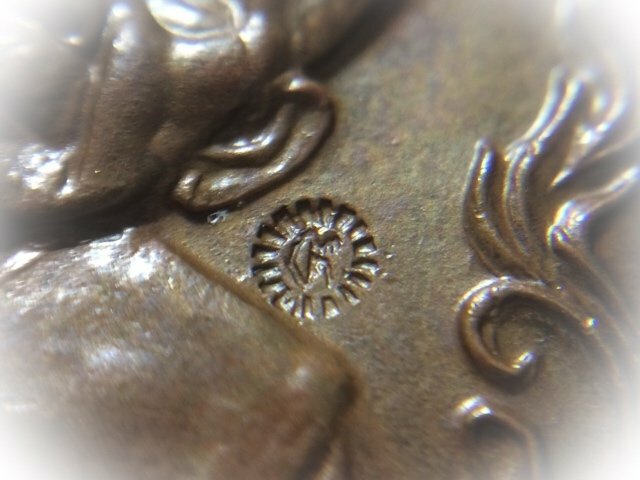 The 5th and final empowerment was performed on Sunday 30th April 2543 BE at 09:19 a.m. within the Uposatha Shrineroom of the temple, with a large number of monks from around the country to assist Luang Phu with the final Buddha Abhiseka. 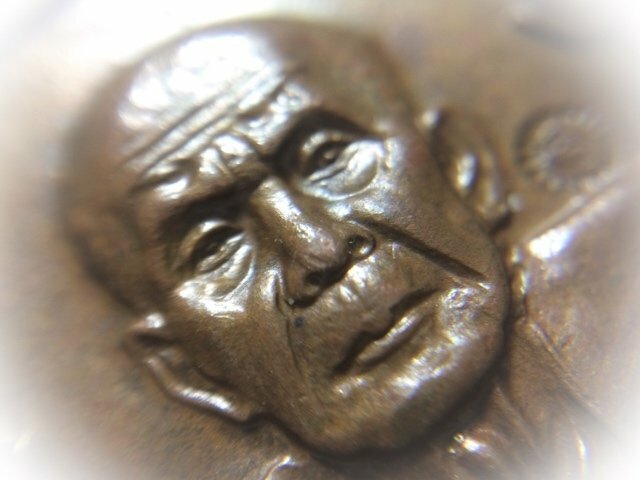 Only 1999 amulets were made in this rare limited series edition. 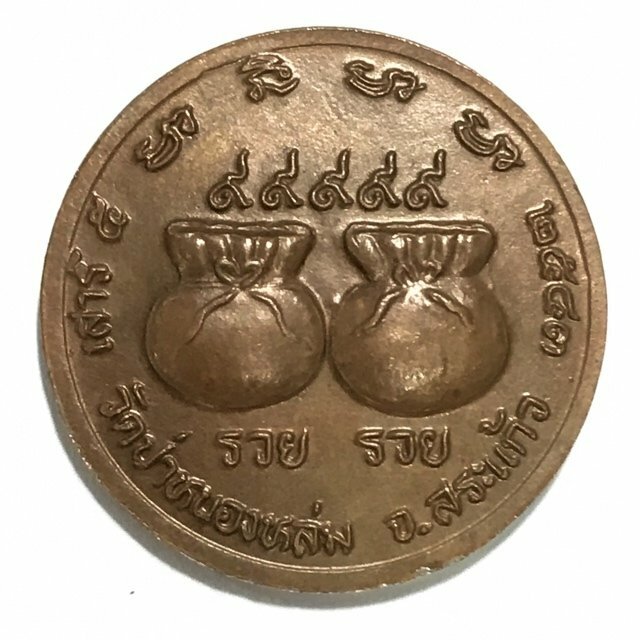 The amulet carries great fame for its Maha Pokasap wealth and treasure accumulating power, and for Lucky Windfalls such as Lottery Wins. 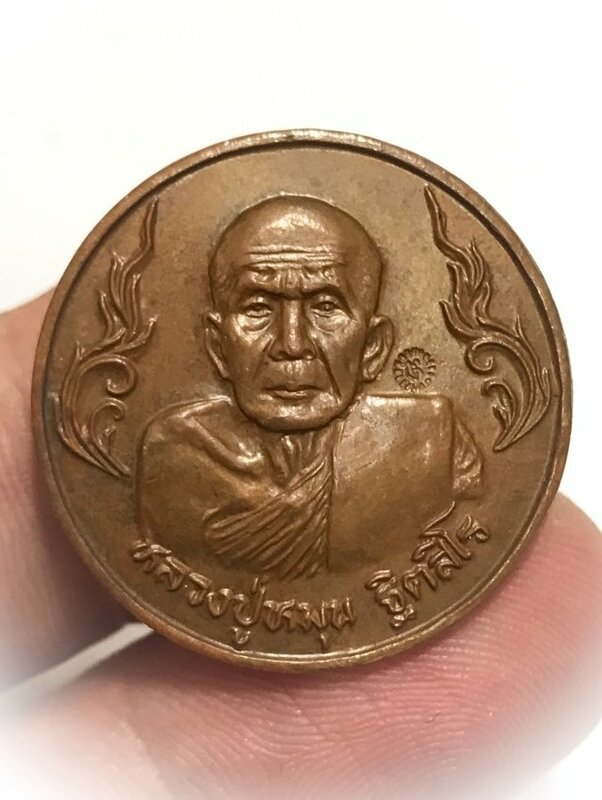 Luang Phu Hmun (also known as Luang Pu Moon) was a Maha Thaera Guru Monk of great age and who received Great reverence and Respect from the people of Tambon Jan for his Diligence and Purity in practicing the Vinaya as a Buddhist Monk.